Owner, Royce Clay, attended Penn State University and graduated at the top of his class with a BS in Forest Biology in 2001. Royce is a Certified Arborist® (SO-5366AT) and Tree Risk Assessment Qualified through the International Society of Arboriculture (ISA). He is committed to upholding the professional conduct standards outlined in the ISA Certified Arborist® Code of Ethics. 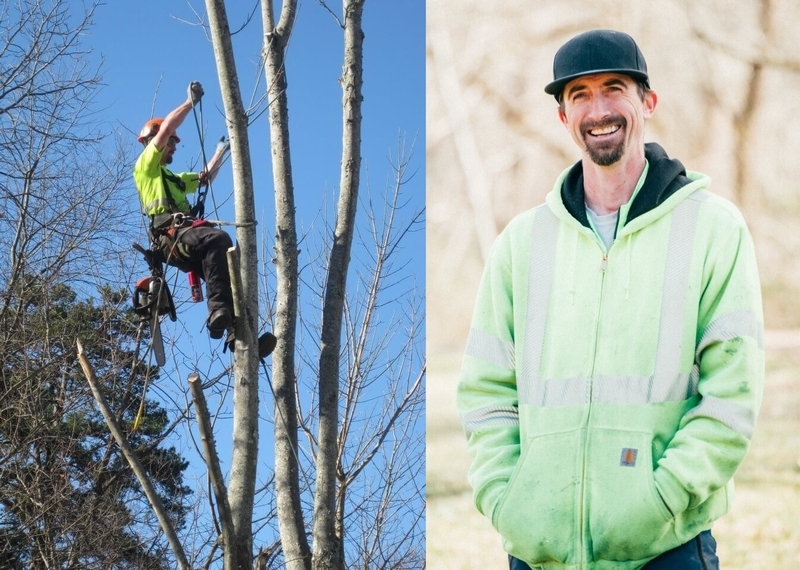 Royce previously worked at the 8000-acre Biltmore Estate from 2004 – 2012; first as a tree climber, and then as a crew leader. He calls West Asheville his home, along with his wife Samantha, daughter Rosemary, son Henry, and their dog Chewbie.